Everyone is so busy these days and expected to do so much more in far less time than ever before! Always looking out for something to maximize my time and fill my days with nothing but productivity, I can't count the number of apps, online programs/platforms, and actual devices that actually do what I need them to do. You get to the point where it is hard to justify taking the time to learn a new program or tool only to find it doesn't work for you after all. The disappointment! This is the first online platform I ever used that I can honestly say has saved me through at least 3 computer crashes, allowed me to find the tickets I needed to enter a show I left at home on the printer and enabled me to set up a tablet slideshow for my father with easy to find pictures of children and grandchildren. It is super easy to use and set up - download the desktop version and save all your important info (I literally save everything on my computer in Dropbox) in a subfolder. It magically syncs to the cloud so you can access it from your smartphone or tablet quickly and easily. Most recently, Dropbox offers the option to only store info in the cloud. I travel a lot and need files accessible offline, but this would be a great option for someone with space issues, but constant wifi access. When you click on Open with next to one of your files, you can choose to fax, edit, or send for signature using built-in integration with online versions of HelloFax, Word, Excel, or Docusign, for example. Starred items you access frequently appear at the top of the list. Not sure what subfolder to search in for a particular file - no problem! Just search the entire Dropbox for the item name or partial name and it will magically appear. Two other new additions are Paper and Showcases that allow for easy and efficient brainstorming, collaboration, and sharing. 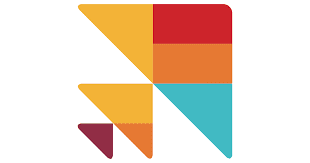 Paper is an online "document editing service" that allows you to take quick meeting notes, make and share agendas, develop more complex documents with a team. When combined with google chrome and calendar, it automatically generates a meeting note template just in case you want to use it! Showcase is more visual. It allows me to share before and after samples of the resumes I rewrite for clients. Showcases can be shared with colleagues or potential customers and could easily be used as a portfolio. I also set up a training site for my assistant that is not only practical, but it is also visually pleasing, easy to access, and even fun to navigate! Dropbox works even better in Google Chrome with your Google account. I cannot speak highly enough about how seamlessly Chrome and Google integrate. It is a real convenience to go to paper and see that a meeting note has already been set up for me to record my notes in. Later, I can return to edit and copy and paste to where ever I need it, an email update or case file for example. In the upper right of the browser is a box of nine boxes that are the apps available via Chrome. My favorites are Gmail, Calendar, Play, Maps, My Business, Photos, Translate (mainly because it is just so cool! ), and Hangouts. Of these, I can honestly say I could not live without Gmail, Calendar, and Maps. Calendar is a bit of a misnomer as it also includes reminders, tasks, and the ability to add your friends', family's or favorite team's calendar. When used with your Google Home (see below) it really helps to keep you organized! Ah Evernote. This is the second online tool I discovered and will never look back. I can email something to Evernote or use the extension on chrome to save it. I have a lot of subscriptions to sites that I am interested in and would either like to read or share, but may not have time when they arrive in my email box. I send them to Evernote and there they are when I do have time! The program allows you to set a reminder or share a "note" with someone else. I cannot tell you the amount of information I have in Evernote - it is staggering. It helps keep my poor ole, aging, ADD brain relaxed and organized. Similar to Dropbox, you can search all of Evernote for a phrase or partial phrase in all subfolders. Again, it syncs to the cloud so you can access all your notes from every device. I love Evernote and have so many notes that I will, personally, probably never be able to live without it. But, now that Dropbox has Paper, I wonder if I would use both if I was just learning about them. In the end, I have decided yes, I would. Primarily it is the email feature of Evernote that will keep me. Both offer free trials and very inexpensive functional to a bit more pricey business versions, depending on your needs. 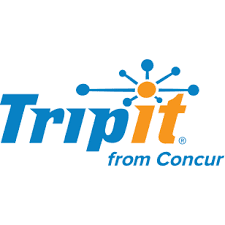 TripIt has been around for many years and I am an early adopter and avid user. The app, like DropBox and Evernote, syncs across all your devices and allows you to email your plans into the app or it can access your Gmail account and automatically import your plans for you! It integrates with your Google Calendar as well. With all the hassles that can come with travelling, especially if you are a busy worker bee, TripIt provides peace of mind and one place to find your itinerary, tickets, check-in, hotel and car reservations and so much more. I discovered Cloze in the last year or so, and although it is a fee-based platform, it is reasonably priced and allows me to keep track of potential and current clients as well as colleagues, friends and family. It features sections including an Inbox, where mail from several accounts can be collected, People, similar to contacts, but allowing you to attach and include far more information (much of it gathered by Cloze from emails and online social media), Contacts, and Projects. Projects allow you to track work and collaborate with team members and easily find files shared with those involved. A bookmark feature allows you to be reminded when someone doesn't respond or if you want to revisit the item in the future. There are analytics you can access and I love getting an emailed agenda every day with things I don't want to forget to do or review. It is very helpful, at times, to know that someone has opened your email (or not) - I try not to advertise this ability to my contacts because I don't want to creep them out! Remember the old days? We had to meticulously write down directions to where we were going, consulting a map, and wondering about the direction giving skill of those who were giving them. When Google Maps came on the scene I know I was excited, but unprepared for the inaccuracies in the burgeoning technology! I ended up places I would rather not even talk about, let alone visit. Then came GPS standalone technology, which I fully embraced quickly forgetting the pitfalls that sometimes plague new technology. Proudly, I introduced it to my husband on a trip through Tennessee and promptly ended up (literally) at a dead end on the top of a mountain where before us lay a bloated dead cow. It didn't take us too long to turn around and consult a map! Fast forward to today and occasionally (rarely even) I end up not quite where I am headed, but for the most part, Waze gets me there while keeping me apprised of police, hazards, accidents and routes me around heavy traffic. 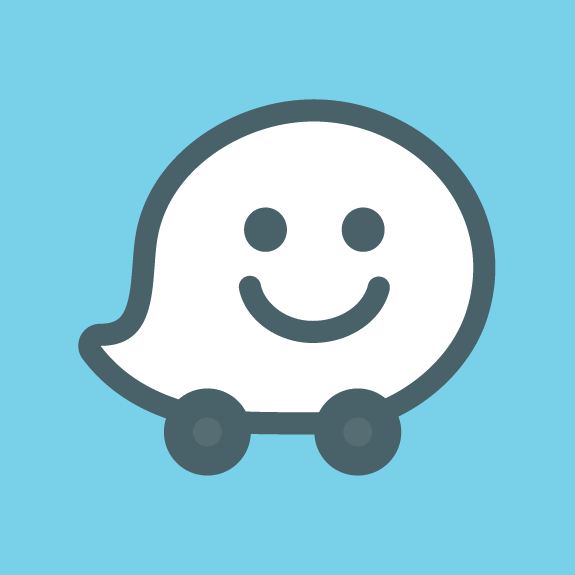 It allows users to report any anomalies and share their data to crowd-source the most up-to-date info about your route. Best yet, it pulls my appointments from my calendar and asks to map me where I just happen to be heading. Google maps, though is best for metro, trains, buses, walking, and biking. Google Assistant acts much like your Google Home or Mini (except you do need to tap the app to start using it). The primary advantage is that the Assistant uses the Google platform for searches. Much as I love my iPhone and iPad and now iWatch, Siri just does not get the same reliable results as I can find on Google. This is one of the very few apps that I actually pay for - not much ($4 or $5 a month)! BUT, it is worth every penny. I get transcriptions of messages right on my email so that I can copy and paste them into case notes, calendar, Evernote, Dropbox file, or wherever! It has a built-in spaminator, which cuts down on the nuisance calls considerably. I can customize my announcements for each caller or type and can even add extra lines if I need them. Let me just say I have left my wallet, or purse, or that special card I needed this once on more than one occasion. I now keep a copy of my driver's license in my Evernote and had to use the picture to go to the bank and withdraw funds. (They actually gave me my money!) These days I have both Google Wallet and Apple Pay am able to pay for things almost everywhere with these. It is a huge relief to know I can pay for gas or get lunch while travelling around two bays, even if I do forget my purse! I just found this when my watch synced with my phone for the first time. Can I just say I LOVE IT! It is so easy to use and reliable - I use my watch to record, but you can use your phone just as easily and text or email it to be edited. I was VERY surprised about the good quality of the transcription. There was very little editing required. This one I paid a flat rate of $5 and it is another one of those that keep on giving back. I use this constantly to scan patients' medical records or clients work assignments. It does a great quality scan and gives you the options of adjusting the borders so that you get the best possible looking scan. Most of the time I can tell this picture scan from the kind you can do at the big Staples copier. I can save the scan right to the appropriate Dropbox folder. Despite what they say, Word is NOT 100% compatible on iPad when compared to Desktop. Enough so most wouldn't have an issue at all, yes! But, I do resumes with intricate formatting, text boxes, and the like - it does better with straight-forward documents like letters, articles, memos and the like. It is, however, invaluable to have on your iPad in the even that your battery dies or you forget your laptop. 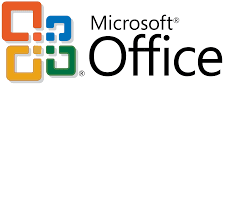 It is easy to use for research or typing notes, reviewing and editing also are very easy to do using Microsoft Office. I have to admit, I drank the Kool-Aid after getting my first iPhone! I LOVE, LOVE, LOVE the integration between the iPhone, iPad, and now Google Home, which I can honestly say has saved my sanity! I have a Home in the living room and mini Homes in my office, kitchen, and car (yes my car). Google Home allows me to do quick research while doing the dishes or making dinner, I add things to my shopping list endlessly. All my research and shopping lists are available on my phone and iPad anytime I need them. You can install the assistant on your PC and I may do so, but I haven't been pushed to follow this super technical process (yet). One thing I often hear when I tell people how much I love my iPad and how useful it is: why do I need an iPad (or tablet - I told you I drank the Kool-Aid) when I have a smartphone? One big reason is (pardon the pun) that it's bigger! I use my iPad for case notes, writing articles, calendar entries, and research. I often use my smartphone to accomplish these tasks as well, but find the iPad is much more comfortable to read and use than a smallish iPhone. I've thought about one of the bigger newer versions available, but think I would feel silly wielding such a large device! Google calendar is far more convenient and allows an easier interface to schedule/view reminders and tasks that does the online version. all the time. The hardest part about getting up and running on my watch was putting it on and that is not an exaggeration! All the apps on my iPhone that were available for the iWatch synced over when I linked the phone and watch. I was off and running in no time and regularly ask Siri to text or email someone or take calls by lifting the watch near my face and saying hey Siri. So easy. I have to say, though, and this is a personal bias, Google has Siri beat for searches (sorry Siri). I have not yet received this on my doorstep, but am looking forward to it! You can't believe the number of times I have left for a long day of in-person appointments with my cell phone and iPad and laptop and various portable chargers, but no cords! What a pain. When I came across this reasonably ($30+) priced, attractive bracelet charger, I just had to try it out. 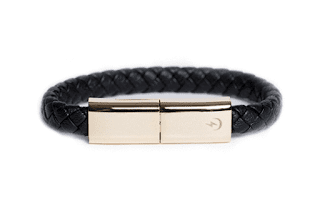 I can't wait to see how it works and will charge it near my iWatch - the only two jewelry items I need! I hope this information helps a few people - there is so much technology out there and it's so rapidly changing that it is difficult to sort out what's helpful and what's not! I'd love to hear what resources and tools help you most. Let me know how you are doing or how I can help! Comment below or reach out.